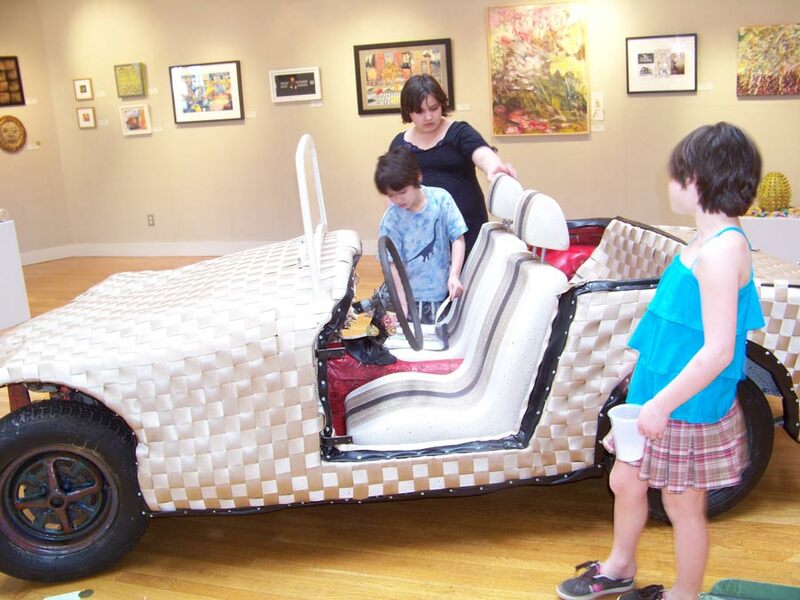 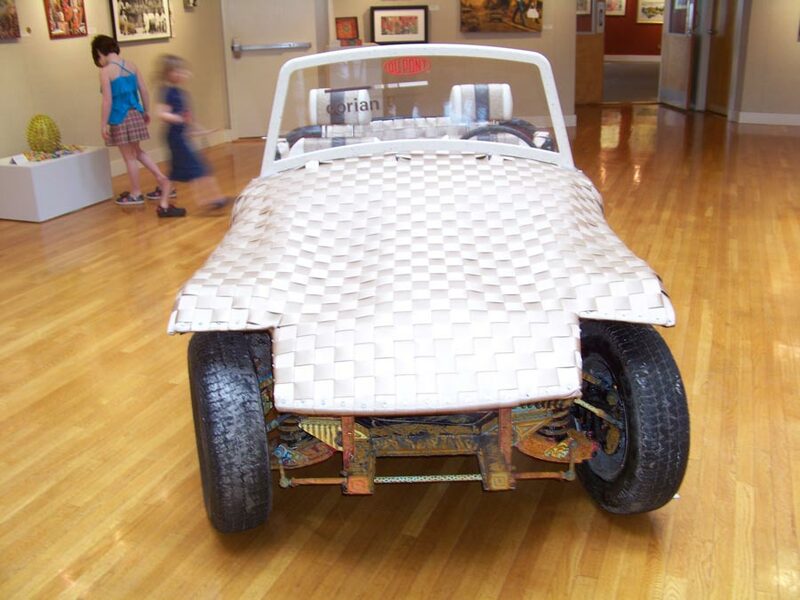 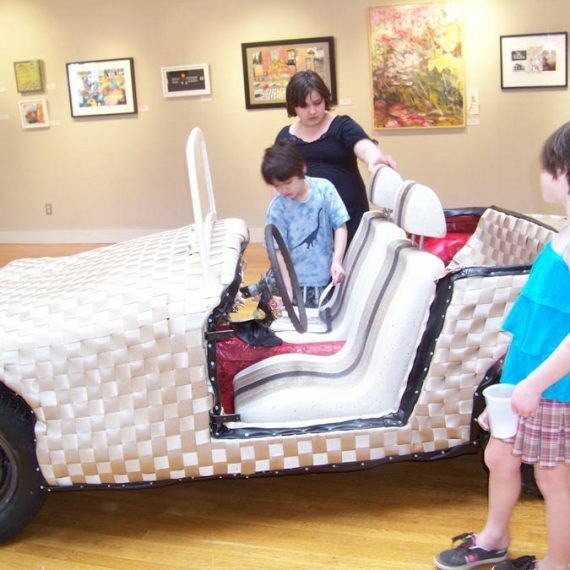 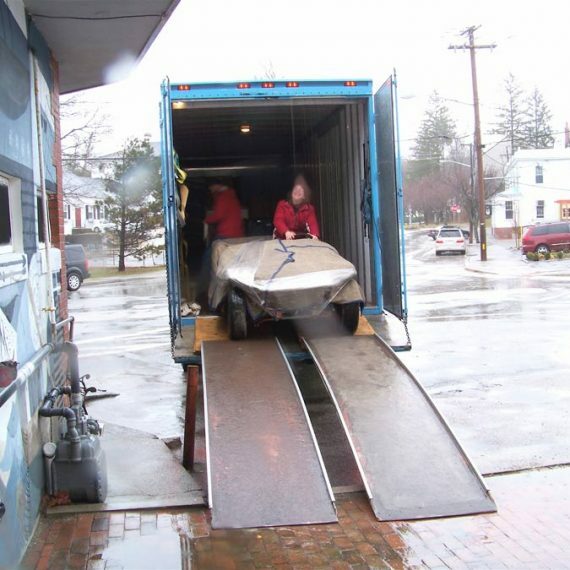 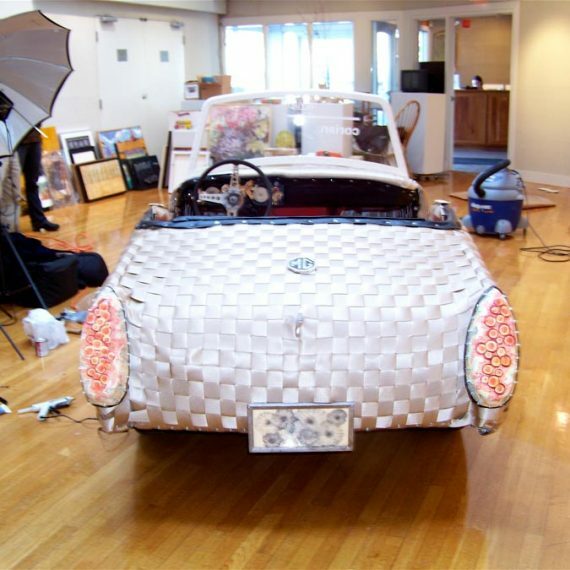 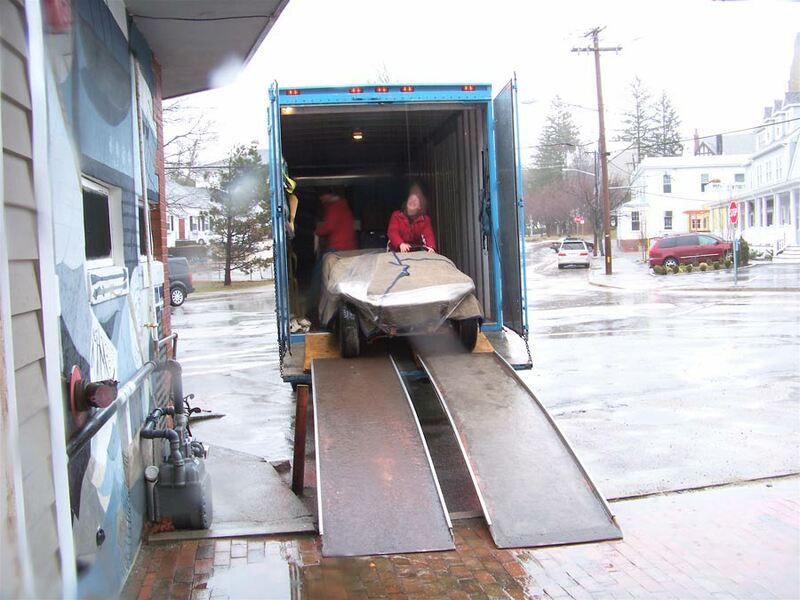 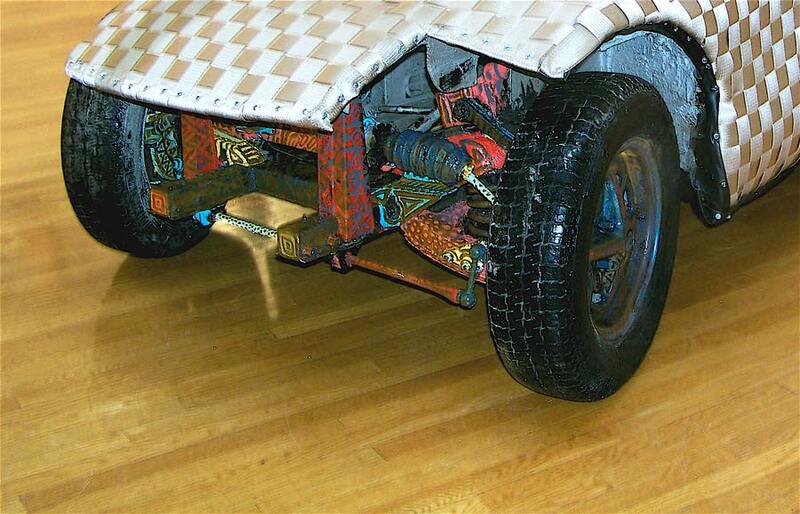 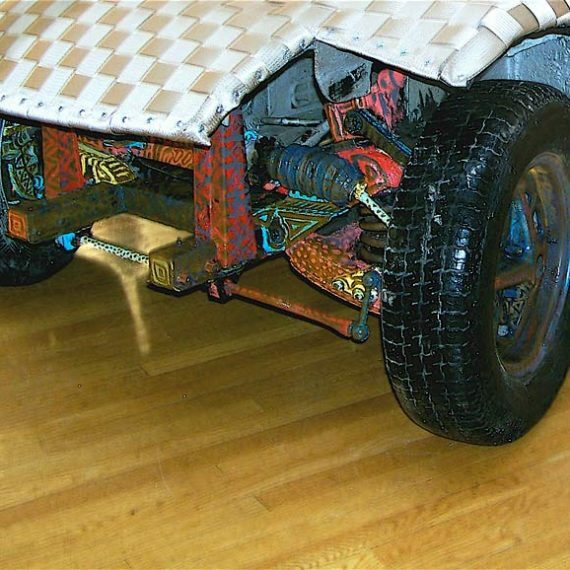 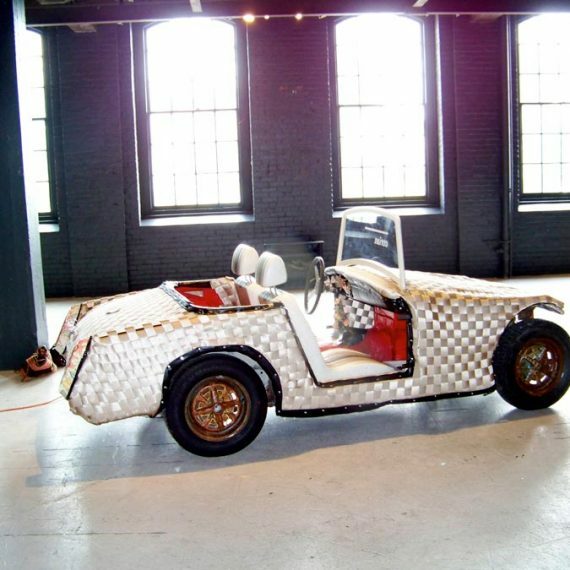 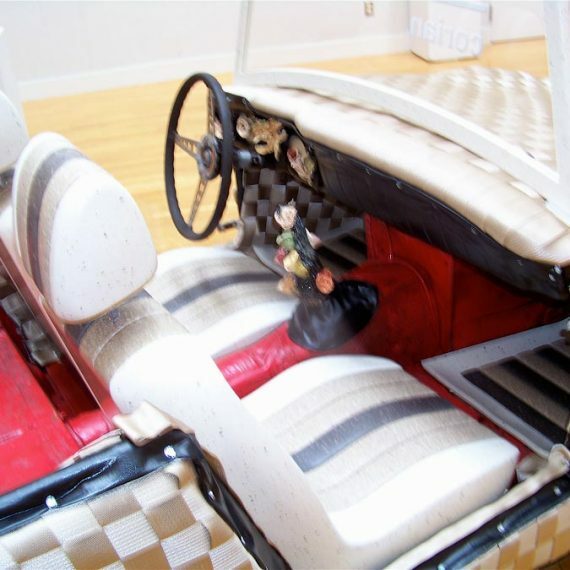 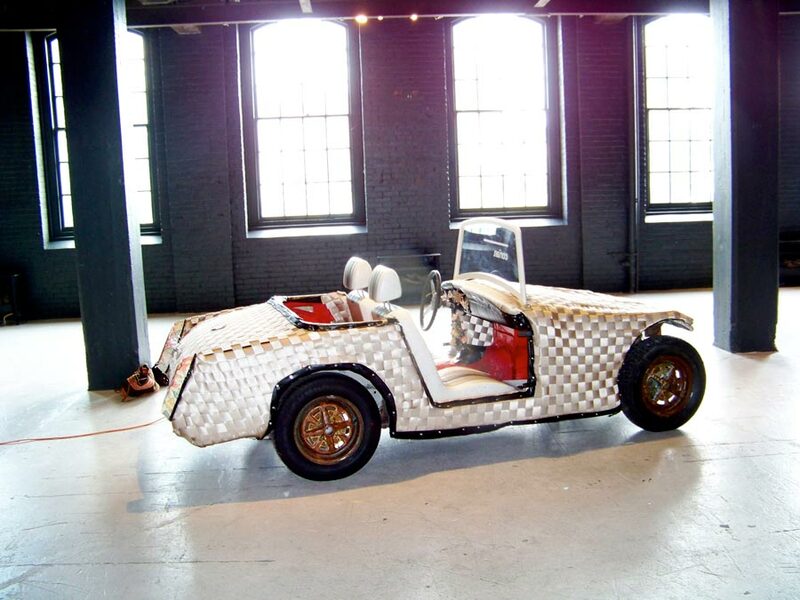 The Woven Car was a project in which Ann Conte (artist and collaborator) and I took an old and rusty MG Midget, long past its usefulness as an automobile, and transformed it from junk into a piece of modern art. 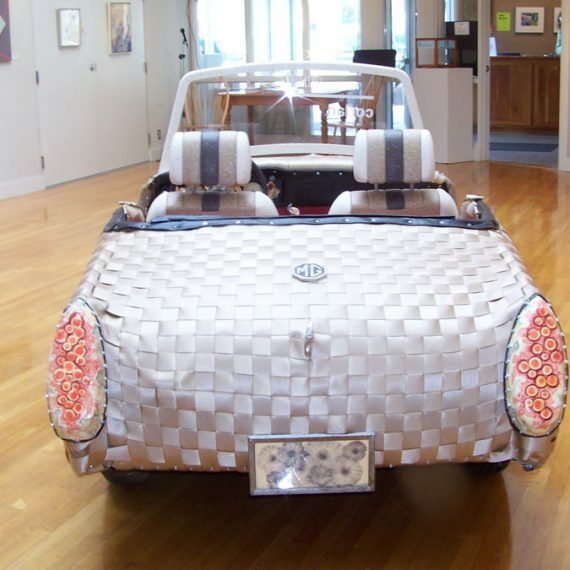 We found the early â€˜60s model MG Midget in a neighbourâ€™s backyard (it was being used to store firewood) and completely revamped it using recycled materials to create an entirely novel, eye-catching design. 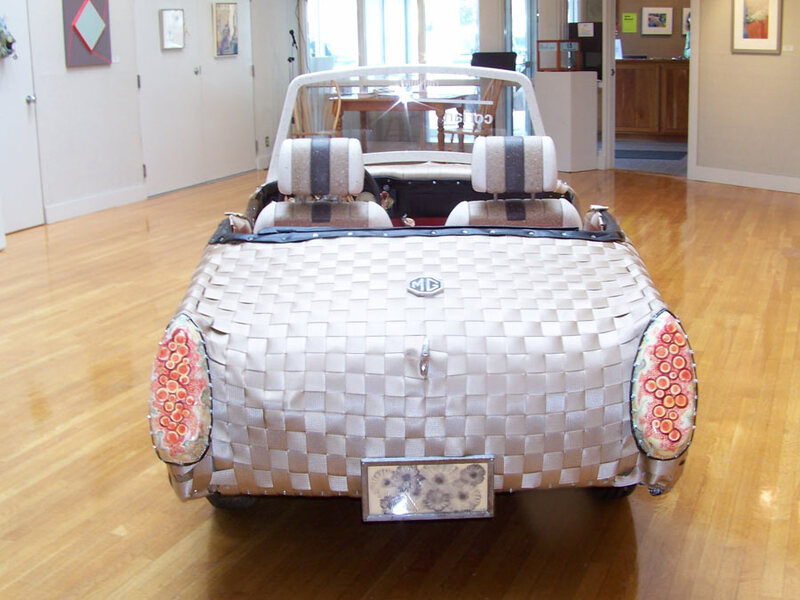 We gave the car a woven basket look by using overstock car seat belt material (about 460 metres) to create a â€œwoven claddingâ€ for the car, which was then bolted onto the metal. 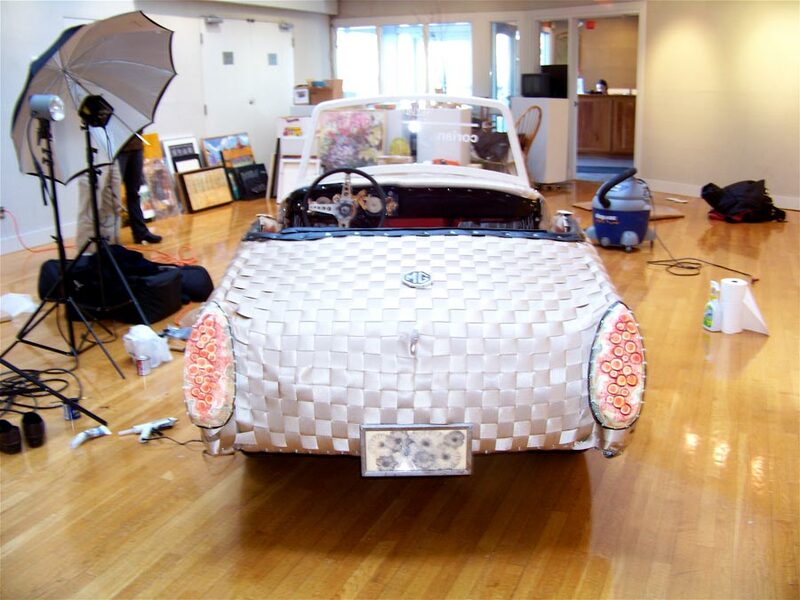 The project was all about recycling, reusing, repurposing and sustainability. 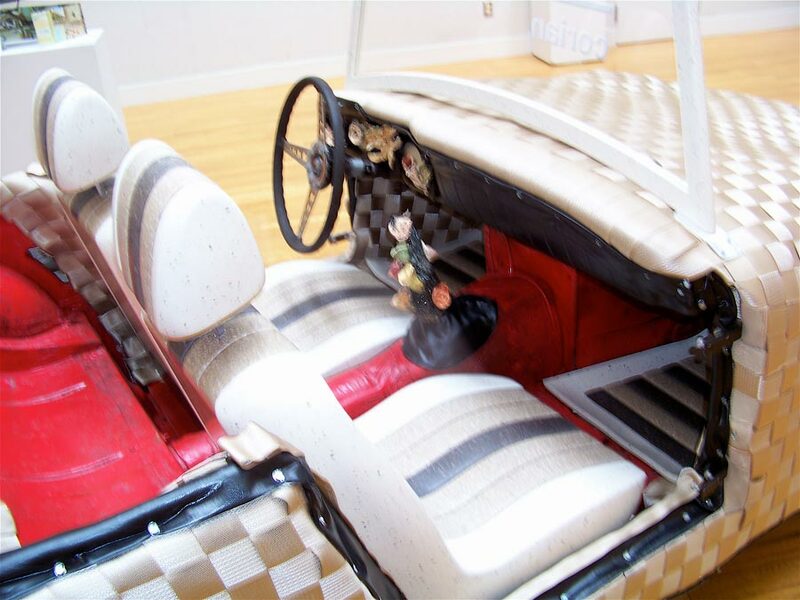 We also collaborated with Joel Miller of Sterling Miller Designs Inc., a designer and fabricator specialising exclusively in creating products from DuPontâ„¢ CorianÂ® solid surface, to create the interior of the car. 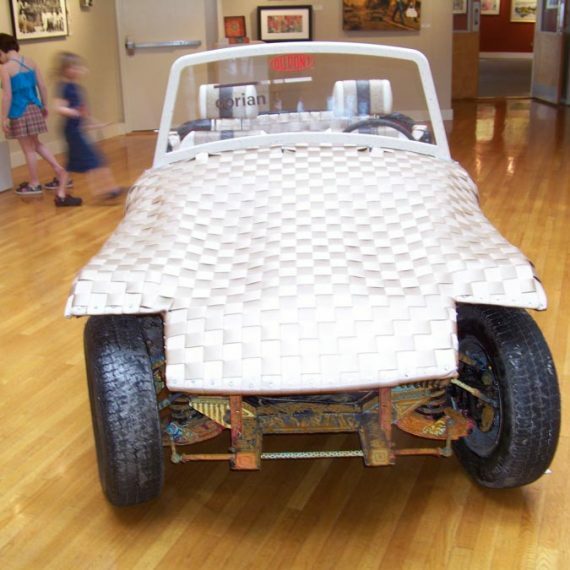 Seats, floorboards and windshield frame were all created from the â€œTerra Collection,â€ a DuPontâ„¢ CorianÂ® series made from recycled material.